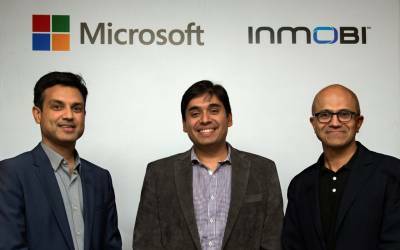 InMobi, a global provider of enterprise platforms for marketers, today announced a strategic partnership with MicrosoftCorp. to enable new-age CMOs in their transformational journey from digital to mobile marketing. The partnership will consist of InMobi moving to Microsoft Azure as its preferred cloud provider, and will involve technology collaboration and combined go-to-market strategies aimed at accelerating the way marketers are looking at their advertising and marketing strategies in an always-connected world.